Owning an online business comes with many complications and challenges. Traffic is the basis of Internet websites and traffic generation is the driving force behind Internet marketing. A website by itself is similar to a store at the wrong end of the mall. It is something nice to have, but with no one passing by to browse the merchandise, the cash register remains empty. Search engine optimization occurs to entice Google to send a website free traffic from its searches. Instead of having to buy traffic, search engine traffic is not the only way to accomplish this task. There are many other ways to get people to view a website. There is a bit of a disagreement among expert marketers concerning the importance of getting traffic and converting traffic to paying customers. One side believes that getting traffic to a site will at least supply the possibility of customer conversion. The other side of the table believes that traffic is useless if it does not make people buy product every time. In fact, both of these arguments makes sense. It is like opposite sides of the same coin. The whole concept is meant to be easy. An individual is to go out and tell people about a new website and draw them in. This is the fundamentals behind all advertising. However, things are not that simple. It is easier to understand after looking at the inside of a large Internet marketing forum. They are filled with individuals who always complain that Internet marketing is ineffective and years have been wasted by doing everything that they were told including creating a site that was slated for success and failing to make any profit. Under the surface, it appears that everything was followed correctly, but the taught methods did not cover the things that were most important. As people were told to create sites, they were mentored in some of the most effective ways to market online, but they were not informed that site building is just the start. Generating traffic is an ongoing process that never ends. The most important way to generate traffic is to do well on and off page SEO to claim top Google ranks that send free traffic ti the site. However, there are more ways to be successful. The next effective way to keep traffic coming is to create a list. Many internet marketers lose thought about the time, money and effort that is needed to get visitors to a site. It can be quite costly to hunt down clients and be turned away. It is insane to make a person visit a website, do nothing, and leave. It is a waste for both sides. A good website should convince a possible customer to try the product or service that is being offered. Every website should have a way to retrieve the email addresses and names of lost visitors. This may help to persuade them to stop by again. After contact details are obtained from an opt in form on a website that is linked to an autoresponder, there will be no acquisition cost ever again. Every time guests are emailed enticements to revisit the site, it produces free traffic generation. The third way to generate traffic is through article marketing. Writing articles that others can use may seem strange, but it can be quite effective. It entails an agreement that when a person uses an article, they display a small ad underneath it that makes clicking a link attractive. Every article that is written may end up only generating a small amount of clicks, but as more and more get working, they will build a steady stream of traffic that will be infinite and offer great benefits to any online business. Article marketing is not as effective at generating traffic as it used to be, but a large number of internet marketers count on it and base their whole strategies for traffic generation on it. It is still a very popular way to generate traffic to a site. 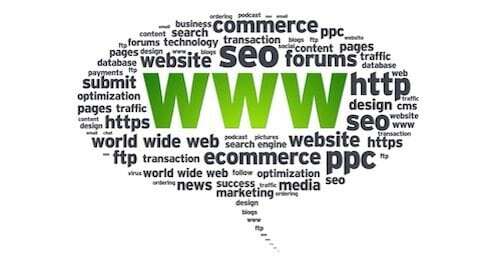 Finding ways to increase web traffic is the beginning and end of an online business. Understanding its importance and how to get it done in the most effective manner is the separating factor between people who have negative feelings about internet marketing and those who make a good living because of it. Without at least trying it in some form seems silly, as it can possibly increase revenue like it has done for many other companies.